This abandoned constellation, which lay in the northern part of present-day Aries, has a confusing history. It was introduced on a globe of 1612 by the Dutchman Petrus Plancius under the name Apes, the Bee. He created it from four of Ptolemy’s unformed stars which were described in the Almagest as lying ‘over the rump’ of Aries. 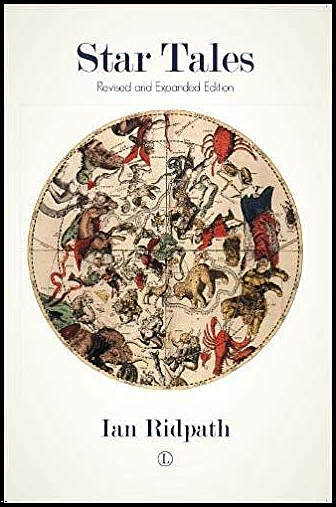 The German astronomer Jacob Bartsch altered its name to Vespa, the Wasp, on his map of 1624, but retained the name Apes in his accompanying text. Johannes Hevelius changed the type of insect altogether when he renamed it Musca, the fly, on his Firmamentum Sobiescianum atlas of 1687. This was confusing, since there already was a Musca in the southern hemisphere, created almost a century earlier from the observations of Keyser and de Houtman. Hevelius did not list his northern Musca as a separate constellation in his catalogue, but retained its four stars under Aries. We now know them as 33, 35, 39, and 41 Arietis. Johann Bode showed Musca on his Uranographia atlas, but within the borders of Aries (below). The constellation later became known as Musca Borealis, the northern fly, to distinguish it from its southern namesake. This longer name seems to have first appeared on Alexander Jamieson’s Celestial Atlas of 1822 (Plate 13). Eventually, the northern fly was swatted by astronomers, although the southern Musca remains. 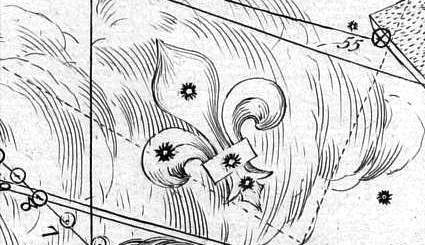 To add to the confusion, the same stars were used by the Frenchman Ignace-Gaston Pardies (1636–73) to form Lilium, the fleur-de-lis of France (see lower illustration). This appeared in an atlas entitled Globi coelestis in tabulas planas redacti descriptio published in 1674, the year after his death (with a second edition in 1693), but was a very short-lived addition to the sky. Musca Borealis crawls across Chart XI in the Uranographia of Johann Bode (1801). The four stars of Musca became Lilium, the fleur-de-lis, in an atlas published in 1674 by the French scientist Ignace-Gaston Pardies (above). Pardies did not label the constellation, though. The name Lilium first seems to have appeared five years later in a chart and catalogue called Cartes du Ciel published by another Frenchman, Augustin Royer, although he made the lily much bigger and increased its number of stars to seven.